– and demonstrates how positive memories collapse unwanted patterns. 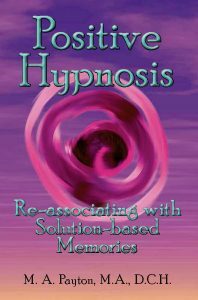 – Invest 30 minutes to review 3 videos on Positive Hypnosis and Physiology of Learning page (http://michellepayton.com/hypnosis-nlp-brain-works-physiology/). Professional materials supplied. To hold your seat, pre-register by emailing: mamichellepayton@gmail.com, or calling: 828-681-1728.